Following a work conference this past weekend we returned to Southampton and five minutes from home filled our car up with petrol ahead of the week ahead. I filled up the tank, paid for the petrol, headed home and thought nothing more of it to be honest. Then it occurred to me that perhaps I had not replaced the petrol cap after filling up. My next thought was the distinct memory that I had placed the fuel cap on the roof of the car while I filled up! Again this is not something hugely unusual. In fact I once lost a pair of designer sunglasses in Norway in exactly the same fashion. So once we arrived home I checked and sure enough there was no fuel cap! What followed was a moment of panic and a flood of questions about the implications of this. How would I find the fuel cap? Would we still be able to drive the car? Is it dangerous to drive a car without a fuel cap? I rushed into the house and told Debbie that I had lost the fuel cap and needed to go and look for it. Feeling like a real fool I headed out straight away to retrace my steps. I am the kind of person who hates to lose something or feel I need to pay out to replace something when I didn’t need to. I am meticulous and work hard to keep a close eye on critical items. It would therefore really annoy me to lose something like this and that is before I even consider the implications of not having it! However as I walked up the road I was prompted to pray. It is of course always good to pray but I would have to admit that prayer is not always my first port of all. So I prayed that God would lead me to my fuel cap which I knew had to be somewhere between my house, McDonald’s and the petrol station up at the University (i.e. within an area of a couple of miles). Well you will be pleased to know that just as I crossed over the main road only a few minutes from our house I spotted what looked like a fuel cap in the gutter. It was not just any fuel cap but it was my fuel cap. 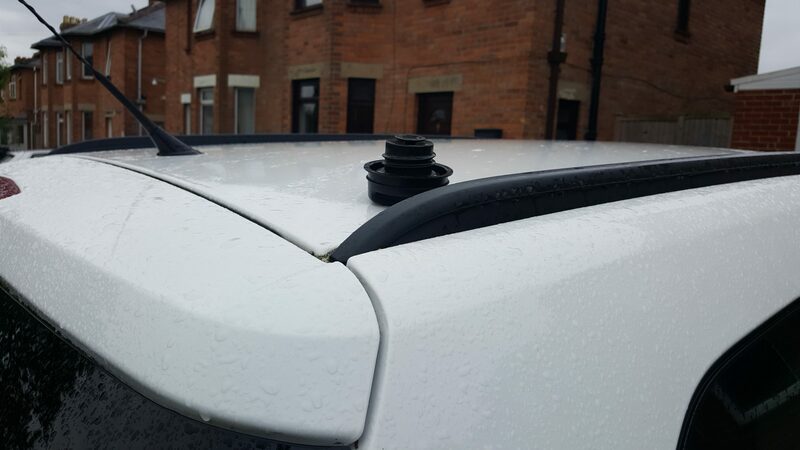 It seems that the cap had remained on the roof for the entirety of my journey home until I turned off the main road into the road that connects to ours. Currently the entrance to that road includes a mess of potholes and the fuel cap must have been thrown off the roof when I went through them. I was mightily relieved and hugely thankful to God. I had a lot of ground to cover while looking for a relatively small item which I fully knew may no longer be in one piece. But God is gracious. He taught me a quick lesson in faith as He led me straight to it and it was still in pristine condition. What are the chances of that? Having written about mountains last time (see here) I know full well that the idea of commanding a mountain to move is about as close to impossible as you can get. But that is Jesus’ point here about the power of faith. With faith there will be nothing that will be impossible for us. It is not so much dependent on how much faith we have for the example Jesus uses is of a tiny and seemingly insignificant mustard seed. Rather it is dependent on the object of our faith and over and over again God has proved Himself to be faithful and worthy of our faith. We just need a little bit of faith. Of course that does not mean that God will always answer our prayer in the way that we would like. What I mean by that is that while I am clear that God will answer there are a variety of things He might say in response. For example He might respond ‘Yes’, ‘No’, ‘Not this way’, ‘Wait’ or even ‘Do it yourself’. In my situation the answer was self-evident. Only moments after I prayed God showed me the missing fuel cap. On reflection this should not surprise me. God loves to give good gifts to His children and is more eager to answer my prayers than I am to even ask for them. What was lost has been found, a moment of panic has been used to create an opportunity for faith and God has once again proved Himself faithful. If God can so clearly work in the small things what is it going to take for me and for you to trust Him in the big things? When it all goes pear shaped! kashimana on When it all goes pear shaped!